You've done all the work to get them in the ground and keep them healthy as they grow. When the harvest comes in, how do you know it's the perfect time to pick your glowing yellow squash from its home in the garden? Knowing when to bring the squash inside so that you can enjoy the fruits of your labor is a matter of knowing color, firmness and length. This information can also help you pick the best vegetables at the grocery store or the farmer's market. Picking squash at its peak ensures the highest level of freshness, crispness and flavor. 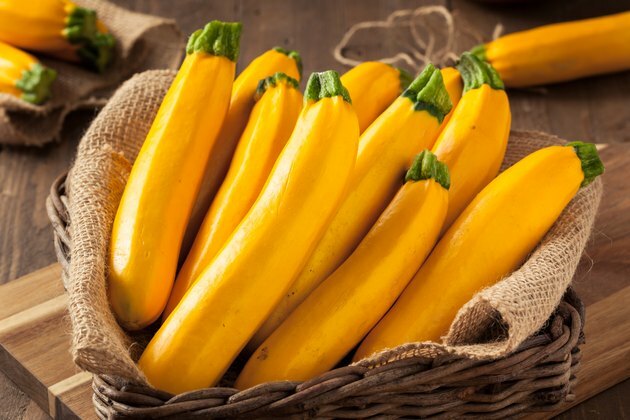 Yellow squash is ready to pick when it is still young and firmly attached to the vine. It should feel firm and rather heavy for its size. The skin should be a bright hue and have a healthy consistency. Soft spots or withered areas could mean you have a watering issue. If caught early, the taste and texture of the vegetable should not be diversely affected. If the stem begins to wilt, again look at your water rates and adjust. Don't pick fruit before they get to at least 4 inches in length. They can grow as large as 8 inches or more, so check the heft to know when it is ready to remove from the vine. Squash should be ripe 50 to 60 days after a seedling is planted in warm spring soil. It will continue to blossom and provide vegetables throughout the summer. You may want to protect the vines with a shade cloth during the hottest parts of the season. Check the crop regularly so you don't miss out on peak picking time. This can also alert you to birds, pests or animals that have found your yield and are attempting to take some for themselves or damage your growing garden. Sometimes, it is hard to know when it is too late and the vegetable has gone bad. It can look fresh but taste mealy. Don't let the squash get too long or heavy as it will affect the flavor. A good rule is to harvest vegetables three to four times a week, letting the fruit ripen naturally. Unlike some other crops, such as tomatoes and avocados, squash doesn't ripen as well once it has been picked. 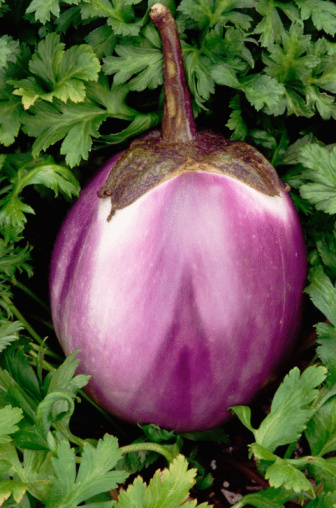 If it droops into the dirt, you may want to prop up the ripening vegetable in order to keep it away from pest and rot. If you can't scratch the skin of the squash with your fingernail, it is overripe.